A stunning lab diamond eternity band featuring French scallop pavé set round brilliant lab grown diamonds all the way around the band. 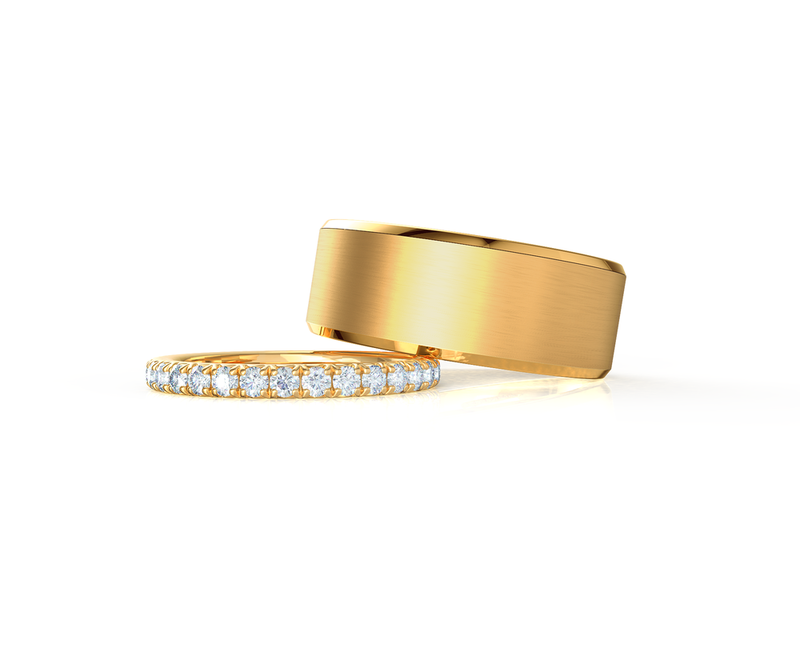 Available options: platinum, 14k or 18k gold: white, yellow, rose. All of Ada's bridal pieces are fully bespoke and made-to-order with sustainable, conflict-free diamonds. Ada Diamonds Design Description- This enchanting wedding band features French scallop pave set round brilliant lab grown diamonds all the way around the band. This ring cannot be re-sized. Starting at price assumes DEF/VS lab grown diamonds in a size 5. Platinum available for an additional $300 fee.